In the lightning speed world of on demand Uber, AirBnB and Amazon, insurance has hardly moved from where its been 20 years ago and has a long way to catch up. It’s a challenge and an opportunity at the same time. Whether insurance can catch-up or another more efficient risk transfer mechanism appears, only time will tell. 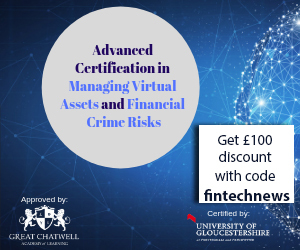 The mission of creating an efficient risk transfer, which is as easy as grabbing an Uber is indeed a big and hairy ambition. None the less, its an exciting one and its starting to draw large droves of bright entrepreneurs, developers, data and behavioral scientists to it. There’s plenty of interest in the Venture Capital community to fund these experiments and shots at fundamentally redefining the insurance model. As much as innovation is about nailing the brilliant idea as it is about a lot of other controllable (ex. team, execution, supportive ecosystem) and uncontrollable factors (ex. timing, network, partners). These factors taken together translate into a meagerly low probability of a startup hitting a unicorn status of $1bn. While unicorn in itself is nothing special its none the less a good proxy to a step change and a substantial value creation. What this simply means is that it will take a large number of startups trying various idea/team/location combinations to find the next revolutionary model for insurance. Having said that, there are ways to increase the chances. It can be catalyzed through to two factors: improving the controllable and increasing the number of attempts to overcome the uncontrollable. Hence the idea of InsurTechAsia was born to act as that very catalyst of insurance innovation. – Connect startups with the best resources and partners for them to succeed, do that transparently and friction-less rather than trying to skim the value; Work with various stakeholders to remove any roadblocks, regulatory and otherwise. – Bring together community that will actively collaborate, share and help its members to make it much bigger than a collection of its individual members. – Encourage more startups to join the mission by building visibility around the opportunity while focusing the energy on the most high potential areas to maximize the impact. Its early days and I’ve chosen to test the InsurTechAsia blue-print in Singapore prior to the wider roll-out across Asia. So far I’m very happy with the progress over the last three months. I’ve run three successful events with the last one drawing in more than 80 active attendees. 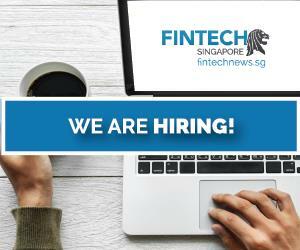 We’ve grown to 200 members on LinkedIn and the level of engagement from startups and corporates both Singapore based and overseas have been very reassuring. Next I’ll be launching InsurTechAsia across Asia to create a much broader action platform. If you know of anyone who’s active in the startup community or is very keen to help create action in the Insurtech space, please let me know as I’m looking for Chapter Leads across Asia. The recent UK vote in favor of Brexit is an illustration of developed countries around the world struggling to find the balance between growth and social inclusion. This has a direct and real impact to the startups and is putting London’s position as a global financial services innovation hub at risk. I have a strong feeling that we’ll see quite a few of London’s 1000+ Insurtech startups Brexit to greener pastures in the next year. Few will chose to move to Munich and Milan to maintain ability to sell to the whole EU and at the same time tap a cheaper team members. A large number of these startups will also start to look more actively East. With Asia being a growth region with a large under-insured and uninsured population, it’s a huge untapped opportunity. Singapore is a strong financial center and with its strategic location in Asia and political stability is looking more and more like an ideal location to tap the Asia opportunity (ex China). OK I admit, I might be slightly biased as I live here and absolutely love the place. 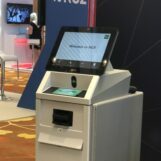 In the highly timely context of highlighting innovation in Financial Services, Monetary Authority of Singapore (MAS), the central bank and financial services regulator announced Fintech Festival back in April. The primary objective of the festival is to reinforce Singapore as a global center of financial services innovation and at the same time cultivate the next wave of transformative startups. The timing for it couldn’t have been better and it’s a fantastic opportunity for startups looking at tapping into Asia opportunity to match their innovative solutions to industry problems in this region. Its also a great chance to get acquainted with Singapore and find it if it’s a right location to be based out of. Problem Statements are broad enough to cover majority of startup ideas and it also means that these are real problems with a ready industry customers waiting for these solutions. It’s a great way to connect with corporate customers in the spirit of building collaborative innovation. I’m keen to hear from you if you are a startup that is tackling any of the insurance problems or know of any startups around the globe that have a solution for it. Festival submissions is by end of July. Thanks for reading and as as always I’d love to hear your thoughts. Having worked at various departments in both life and general global insurers, with his last two roles being COO of AIG Indonesia and VP Claims Operations of AIG APAC — George Kesselman is a highly experienced global insurance executive with a strong track record of management and leadership across Asia. In his relentless passion and pursuit to transform insurance, George cofounded an industry-wide innovation ecosystem in Singapore. 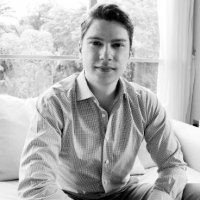 Through InsurTechAsia, he aims to effectively attract, cultivate and rapidly scale entrepreneurial ideas in insurance; and ultimately contribute to the next wave of global revolution in insurance. 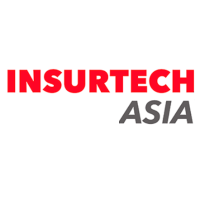 InsurTechAsia: a community of insurance practitioners, entrepreneurs and industry stakeholders across Asia. We are building a strong insurance innovation ecosystem in Asia for entrepreneurs and industry stakeholders by creating opportunities where the right mindsets, skillsets, and networks will develop. Are you passionate about making a change to the insurance industry? A highly experienced global financial services executive with a strong transformational leadership track record across Asia. In his relentless passion and pursuit to transform insurance, George co-founded an industry-wide innovation ecosystem in Singapore. Through InsurTechAsia, he aims to effectively attract, cultivate and rapidly scale entrepreneurial ideas in insurance; and ultimately contribute to the next wave of global revolution in insurance.